Hey folks, Valkor here. During CES 2010 I had the chance to hang out with the rep of Hyperkin and also the guys from DDR games, where I was introduced to the "Hyperkin Sound Plus Sports Kit". Essentially they're Wii accessories, used specifically with Wii Sports and what makes the items unique is that they make a sound whenever you take a swing. The items up for review are the Wii-bat and Wii-Tennis Racket. 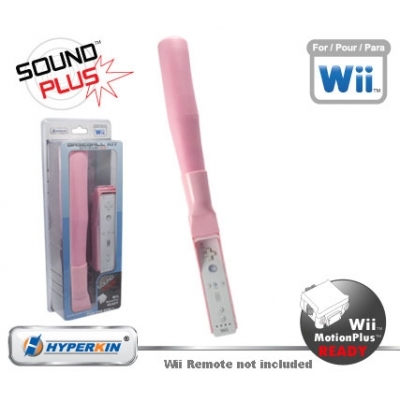 There's also a Wii-golf club, but we didn't get the item in. So what you do is place your Wii-mote in your weapon of choice and off you go. Believe me it's that simple. And the sound it makes is not an electronic sound rather it's an "internal sound device" within the racket, bat, or club that causes it to make the noise, so that when you swing, it will make a noise. 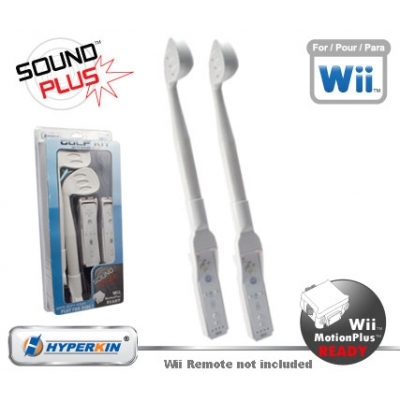 The Sound Plus accessories are also compatible with the Wii motion plus, so no worries about removing and replacing the device when need be. It's a simple design, so what's the deal Val? It's simple and effective; the Sound Plus simply adds another dimension to your sports play. Instead of just hearing the crack of the bat, the crunch of the ball, or the swat of a tennis ball, you can hear it and feel it in your hands. It doesn't add any additional weight and come in three different colors: Pink, white, or blue. The foam padding insures these babies won't break much of anything should they slip from your clutches (but don't quote me on that). In the end they're just a joy to behold and the price of 20 bucks just can't be beat. 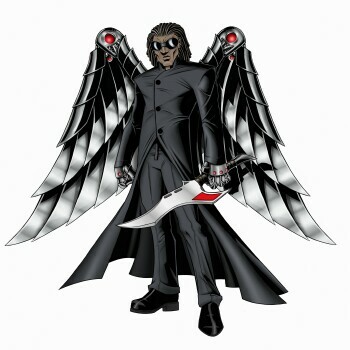 For the bat and tennis racket, the sound occurs no matter what, so if you miss the ball, it will still make the noise. This is why the controller should have electronic sound, so it will play a clonk if you hit the ball or a swish if you miss. 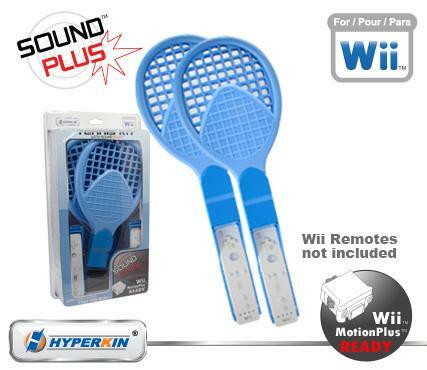 Overall the Sound Plus fared well in Val-testing and I recommend the accessories to any Wii-Sports fans out there, definitely pick this one up just for the added thrill of hearing the sweet crunch of a baseball as you knock it up center feel. And it feels damn good. So out of TOV 5 stars, I give Hyperkin's Sound Plus Sports Kit a 3.5 and it's been Valkor tested and TOV approved!